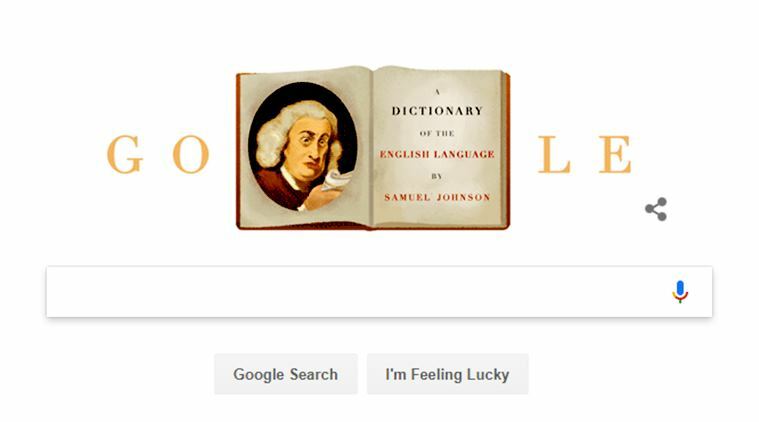 The search engine giant Google marks 308th birth anniversary of Samuel Johnson, the father of the modern dictionary with Doodle. 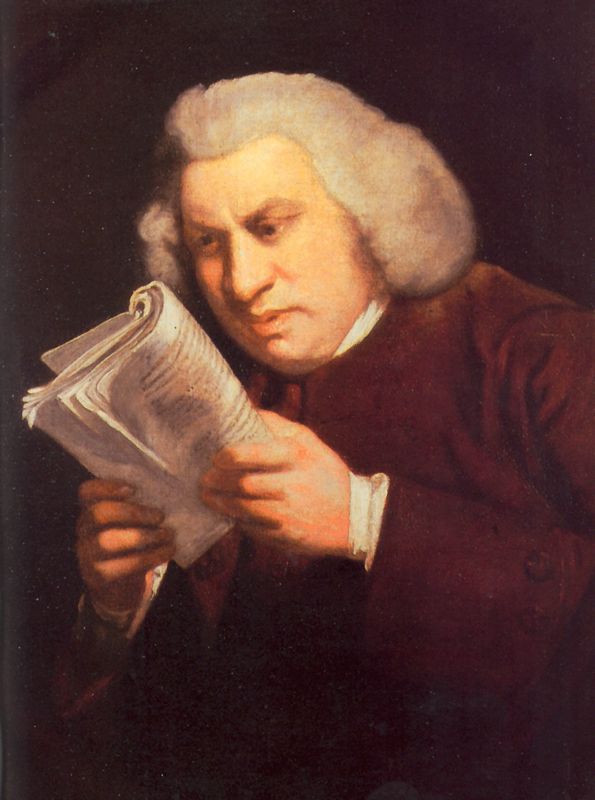 Samuel Johnson is best known forr creating the English language’s most comprehensive dictionary back in the 1750s. Samuel Johnson was Born in 1709 and worked hard in creating “Dictionary of the English Language” which was published in 1755.This dictionary was the most popular dictionary untill Oxford English Dictionary was completed by 1928.It took 9 years for Johnson to complete the edition. The Dictionary had over 42,000 entries and considered to be the most comprehensive achievement at that time and had great impact on the culture of 18th century.Apart from being a lexicographer, Johnson was also a poet, critic, biographer and editor. Google Doodle today shows an animation depiction of the dictionary which opens up to an entry called Lexicographer. Later it rolls an animation on top of picture and describes the meaning as “A writer of dictionaries: a harmless drudge that busies himself in tracing the original and detailing the signification of words”. In modern day we does not use dictionary to find meaning of words,the only way we get meaning is by just typing and search the word on Google. Even the Google’s word Doodle does exist in Johnson’s dictionary on page 638. But unlike today, Doodle meant ‘an idler’ or ‘trifler’.Searching a word in dictionary is a tedious process for us as of now. we literally left the dictionary in shelves.